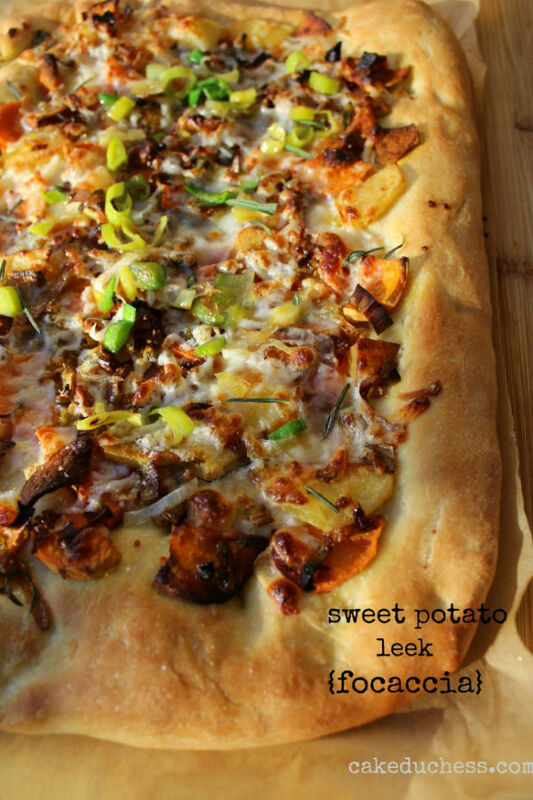 In season sweet potatoes and leeks- Sweet potato and leek focaccia. Most nights I’m pretty confident with my dinner prep. Then there are some nights I wonder what in the world we will have for dinner. It is a full-time job to plan home cooked and tasty meals. Lately my go-to easy meal is pasta or Asian noodles. 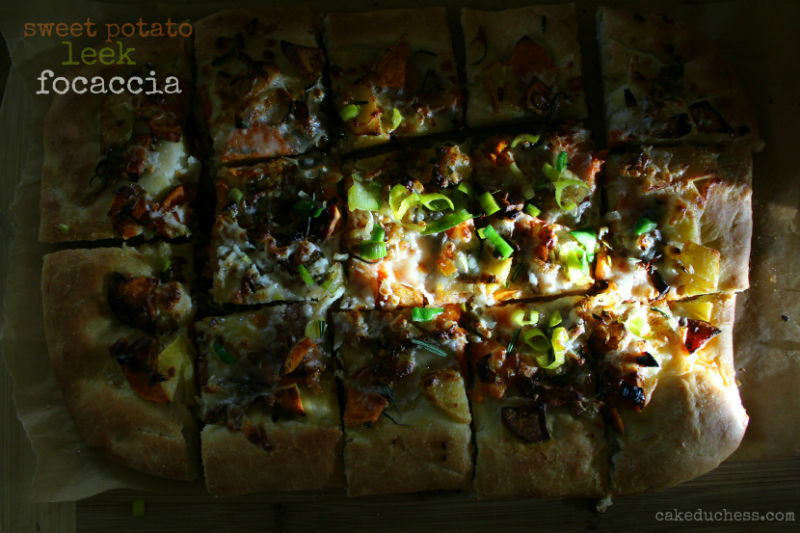 Mostly every Friday night is pizza or focaccia…like this very fall sweet potato and leek focaccia. I know you may say why would I make my own homemade dough when there is conveniently ready-made dough for sale in the supermarket. I know at my supermarket they sell it in the bakery section and I have on occasion bought it. There is no comparison to their dough and this dough. There is no fluff factor comparison and there is no flavor comparison. 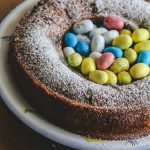 If you don’t have the time or the desire to make your own dough, but the ready-made dough and experiment with toppings. It’s so much fun and such an easy dinner idea (or lunch)! Since the temperatures dropped a bit here and we are out of the miserable humid rainy season, I love to make dishes with root vegetables. 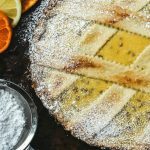 I add them to soups, pasta, risotto and even top them on delicious homemade focaccia. CTRL + 0 Set Zoom to 100%. If you are using Internet Explorer 7 or 8 you may click Page then Text size then select the text size you prefer. There you go! I never knew this easy tip in all the years I’ve been online. With a little planning and imagination, you could create some incredible focaccias or thick pizzas. Prep your topping while the dough rises comfortably in a safe spot on the counter. While the veggies are cooking, you will start dreaming about how wonderful dinner will be when it’s ready. It’s easier to use a mandoline for slicing the potatoes or try to cut them as equally as possible so they will cook evenly. 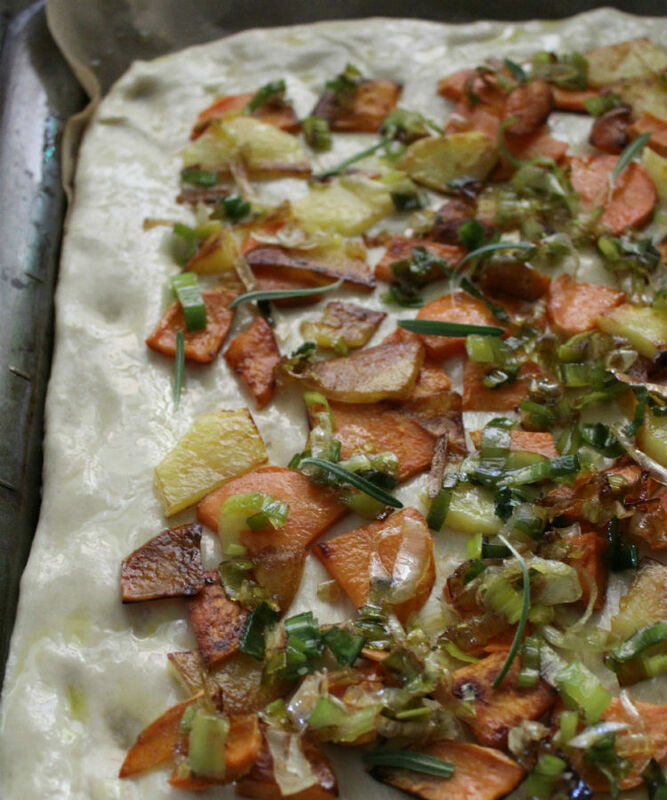 The tempting smell of sweet potatoes, leeks and rosemary baking together is almost too much to bear. The urge to open the oven door and see if it’s ready will be overwhelming. Then you add the cheese on top and take it to another level. The next time I make this I am adding gruyere or gouda. 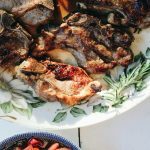 A perfectly wonderful fall dinner that everyone will love! one 101/2 x 151/2-inch jelly roll pan or a 14-inch round pan. In a small bowl, add the water and sprinkle the yeast on top of the water. Add 3 tablespoons of the oil and whisk together. Set aside. Add the yeast mixture and about half of the flour mixture. Stir with a rubber spatula until it is combined. Attach the dough hook to your mixer and add the remaining flour. Mix on low speed for about three minutes. If the dough seems to be too dry, add warm water a teaspoon at a time until you obtain a softer dough. Form the dough into a ball and place into an oiled bowl (when I put the dough in the bowl I swish the dough around the bottom of the bowl and then flip it over so all of the dough is covered in a light film of oil). Cover with plastic wrap and let it rise at room temperature until doubled in size (about 1-1 1/2 hours). While the dough is rising, prepare the potatoes and leeks. In a large skillet, heat 1 tablespoon extra virgin olive- oil over medium-low heat. Add the sweet potatoes and potatoes; salt and pepper to taste. Cook until tender; about 10 minutes. Set the potatoes aside. In the same skillet, add about a 1/2 Tablespoon olive oil and cook the leek until tender; about 5 minutes; set the leeks aside. Place the dough on a parchment lined pan. Pat and press the dough gently until the dough fills the pan completely. If the dough resists, let it rest for a few minutes before continuing (sometimes the dough can be moody). Cover the dough with a piece of plastic wrap and let it rise again until doubled in size (about 40-60 minutes). Set a rack in the lower third of the oven and preheat to 425 F.
When the dough has doubled in size, remove the plastic wrap. Dimple the surface of the risen focaccia using your fingertips. Brush on the remaining olive oil to the surface of the dough. Toss on the potatoes, leeks and rosemary. Salt and pepper, to taste. Bake for 10 minutes. Remove pan from oven and add the shredded mozzarella to the top. Return pan to oven and bake for about another 10 minutes (every oven is different)or until golden brown and puffed around the edges. This looks so delicious!!! wow!!! and we are totally on the same page when it comes to week night dinners: my go-to meals are also pasta or Asian noodles and mostly every Friday night is pizza!! 🙂 phoebe is obsessed with leeks so I must bake this for her! yummm! You can't beat homemade focaccia & yours looks wonderful! Love all the toppings too! We're just hitting the drizzly-rainy session of autumn, I could use a slice of this cosy focaccia right now! Looks so good. I love home made fresh bread and the combo looks so yummy. this looks beyond delicious – got to try it! 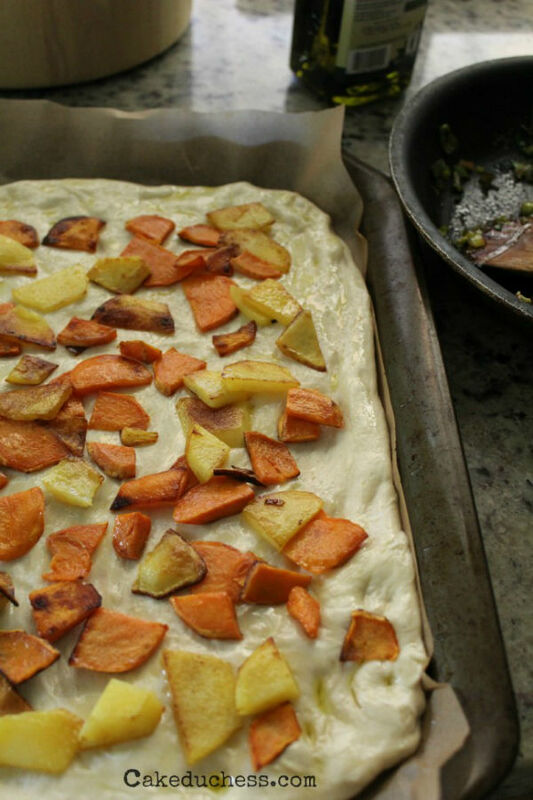 So reminiscent of Yotam Ottolenghi … I love your approach to foccacia ! 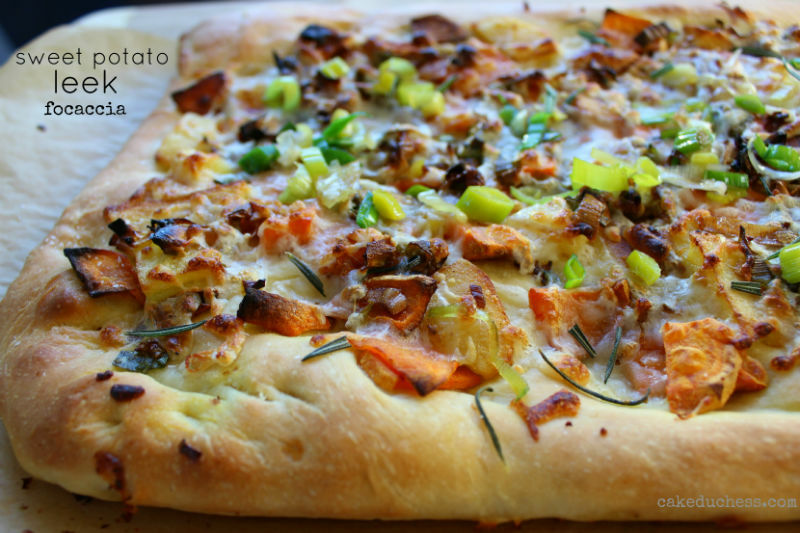 This is an exquisite use of dough and vegetables! Brava! I totally agree with you, Lora, home made always trumps store bought. Why NOT make your own dough when it's so darn tasty and easy? 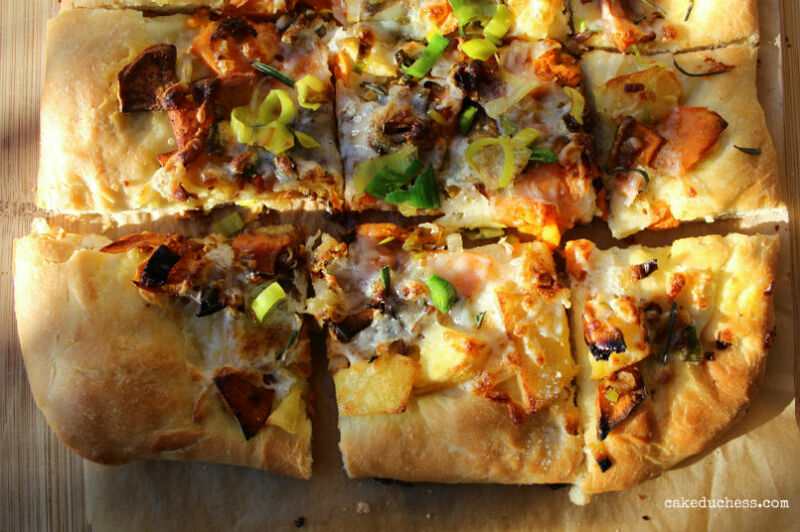 Your focaccia is absolutely perfect and I'm in love with the toppings you used. I'm a fiend for sweet potatoes. 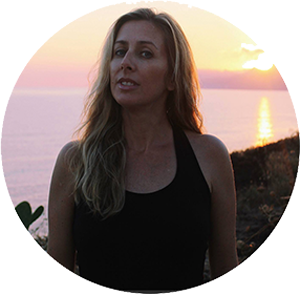 Your photos are beautiful too – I love the lighting and how you captured your dish at different points in time. So lovely! This looks really really good. 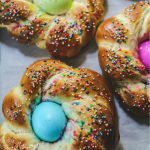 I like making my own dough too and it is fun to do with the children! The colors of those pics are amazing Lora! I love focaccia much more than pizza, and don't make it often because I literally can't stop eating it, especially warm. This one is gorgeous!